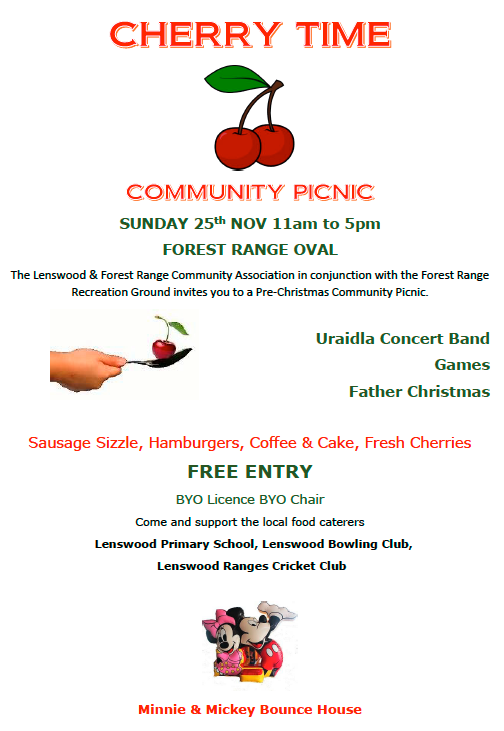 Cherry Time Community Picnic THIS SUNDAY! Come and join us in our next Community event. Free entry, BYO Licence , BYO chairs.